Couples can holiday in India in 2020 and save A$1072, thanks to a new fly, cruise and stay package timed to coincide with India’s most colourful festival, and featuring the Taj Mahal, tiger and elephant safaris and a boutique, seven-night river cruise. Released by Australia’s Cruise Traveller in partnership with Indian river cruise company, Adventure Resorts and Cruises (ARC), the 16-night holiday combines independent touring of Delhi, Ranthambore Game Park, Agra and Jaipur with a seven-night river cruise aboard the MV Mahabaahu in the shadow of the Himalayas. The saving of A$1072 per couple is available until June 30, 2019. Aiming to showcase India’s diverse natural and cultural beauty, the 16-night ‘Colour Me India’ package departs from five Australian cities on March 6, 2020, allowing Australians to experience the exotic Holi festival. Holi is India’s festival of colours, celebrating the triumph of good over evil with dances, bonfires and games using rich pigments. During the festival, travellers will stay at the historic ‘pink city’ of Jaipur, known for its rose-hued sandstone architecture, as brightly-coloured powders and water balloons are thrown in the air, traditional Indian songs are sung, and special Holi sweets are baked. The cruise tour will begin in Delhi, where guests will ride a rickshaw and visit lively bazaars, the Jama Masjid mosque and the 70-metre high Qutab Minar, the city’s most striking monument. From there, the journey continues into Jaipur, where guests will experience the Holi festival before travelling to Ranthambore National Park, a sanctuary situated between two mountain ranges and home to tigers, leopards, sloth bears, wild boar and water birds. Guests will explore the park in four-wheel drives at sunrise and sunset, hoping to spot tigers in their natural habitat. The journey then continues to Agra, home to the majestic Red Fort of Agra – a world heritage site, and the world-famous Taj Mahal – a monument constructed by Emperor Shah Jahan as a mausoleum for his believed queen. Guests will also visit the nearby, eerily abandoned city of Fatehpur Sikri with its elegant palaces carved from red sandstone. Guests will then fly to India’s far north-eastern state of Assam, where they will board ARC’s boutique, 46-guest river ship, MV Mahabaahu. As the ship sails down the sacred Brahmaputra River, the mighty Himalayas nearby, guests will take day excursions to ancient temples, monuments and monasteries, visit artisan markets, listen to talks from expert guides, participate in morning yoga, enjoy a bonfire on a deserted island and spot elephants, otters, buffaloes and rhinos. 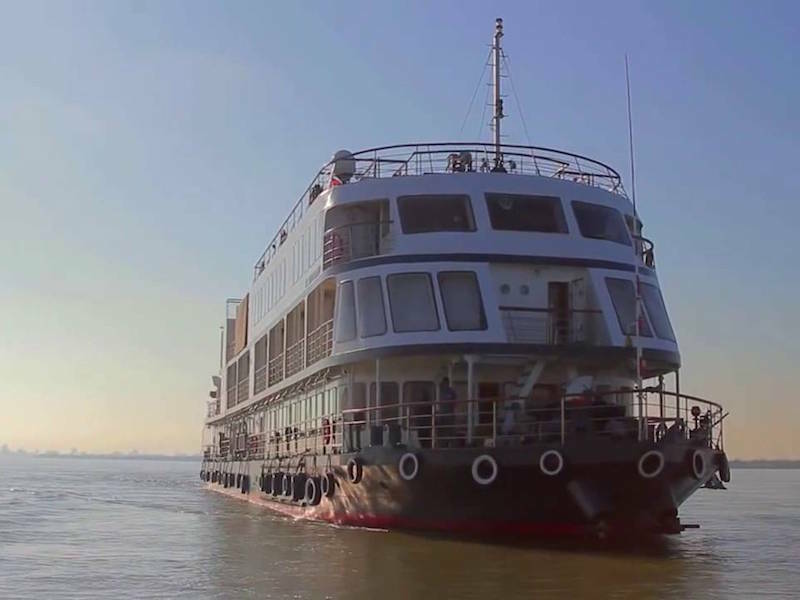 The cruise finishes at Neamati Ghat, from where guests will return home via Kolkata. Including international return flights with Singapore Airlines from Sydney, Melbourne, Brisbane, Adelaide or Perth plus domestic flights in India and cruise excursions, the 16-night land and river cruise package is available from A$8885 per person, twin-share, which includes a saving of $536 per person if booked by June 30, 2019. Subject to availability.